Fidel Castro was a well-known Cuban politician and revolutionary. He was the Prime Minister of the Republic of Cuba for 17 years, then became the President and governed the state till 2006. He was the first secretary of the Communist Party of Cuba. He served as the secretary till 2011. Under his governance, Cuba became a one-party socialist state. All the industries and business were nationalized under his administration. Many socialist reforms were implemented in Cuba under his regime. 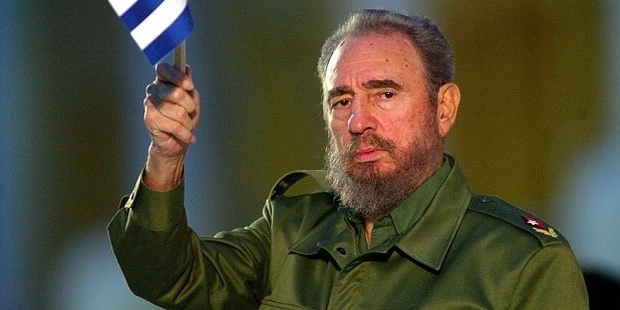 Fidel Alejandro Castro Ruz was born on August 13, 1926, in Birán, Oriente. He was the son of a wealthy sugarcane planter who hailed from Galicia, Spain. He was the third of six children of Ángel Castro y Argiz. Fidel’s mother used to serve as maid to Maria Luisa Argota, Ángel's first wife. Ángel Castro married Fidel’s mother Lina Ruz González when he was 15. When Fidel was 17, he was officially recognized by his father and his name was changed from Ruz to Castro. Fidel grew up in a wealthy economic circumstances amidst the extreme poverty of Cuba. His father had business ties with American-owned United Fruit Company. He was educated in private Jesuit boarding schools. After that, he joined Colegio Dolores in Santiago de Cuba and then El Colegio de Belén in Havana. It is after his graduation in 1945; Castro entered the Law school at the University of Havana, and was completely transformed by socialist ideology. By 1947, Castro became completely inclined to bring social justice and economic freedom in his country, Cuba. He traveled to the Dominican Republic and then Columbia to participate in anti-government rioting. He then planned to overthrow Cuban President Fulgencio Batista. After failing in his attempt and imprisonment of a year, he travelled to Mexico and formed a revolutionary group the 26th July Movement with Che Guevara and Raul Castro. He returned to Cuba in 1956 with around 80 insurgents and weapons and started a guerrilla war against the Batista government. Over the course of the next two years, he succeeded in organizing many resistance groups. He also formed a parallel government and brought some reforms in the agricultural and manufacturing sector. After some eventful military campaigns, Castro was fortunate to bring down Batista’s government. By the age of 32, he fruitfully concluded his guerrilla campaign and took control over Cuba. Castro was sworn in as the Prime Minister of Cuba in 1959. On April 14, 1961, Castro declared Cuba as a socialist state. The Bay of Pigs incident soon after soured the relations between the United States and Cuba. The United States government tried many times to collapse Castro’s rule but in vain. After the Bay of Pigs incident, Castro strengthened his relation with the Soviet Union. This political tie-up brought the world closer to a nuclear war. As Castro anticipated a sudden US invasion in Cuba, he and the Soviet Premier Khrushchev conceived the idea of keeping nuclear missiles in Cuba. After 13 days of high anxiety, and communications between the US President and Soviet Premier, the missiles were removed from the state. In 1965, Fidel Castro merged Cuba’s Communist party with his radical organizations. In the 1970s, he projected himself as the spokesman of the third world countries and aided many pro-Soviet countries like Yemen and Ethiopia. Under Castro’s regime in Cuba, around 10,000 schools were opened, and the literacy rate increased up to 98%. The Cubans also got a better health care system. The infant mortality dropped significantly. Castro curbed the freedom of people in many ways; the unions had no right to strike; the independent newspapers were shut and made to go out of business while many religious institutions also suffered a setback. Castro married Mirta Diaz-Balart in 1948, and they had a son, Fidelito in 1949. After his divorce with Mirta in 1955, he had relations with two other women, NatyRevuelta and Maria Laborde. Castro’s health worsened during the 90s and he suffered from gastrointestinal bleeding. He passed away on 25th November 2016 at the age of 90. Castro received the Order of Lenin three times. He was the first foreigner to receive the award. He was also awarded the Order of Good Hope from South Africa for his fight against racism. Many governments around the world honoured him for his social reforms.